Can an impact from a collision loosen an axle nut? Like title implies I was rear ended a few months ago. After I got my car back from the other party's insurance, I noticed the telltale loose axle nut click. Lo and behold the axle nut was not where I staked it when I changed my wheel bearings. Just wondering if the accident could have caused this. The passenger side was still tight as could be. 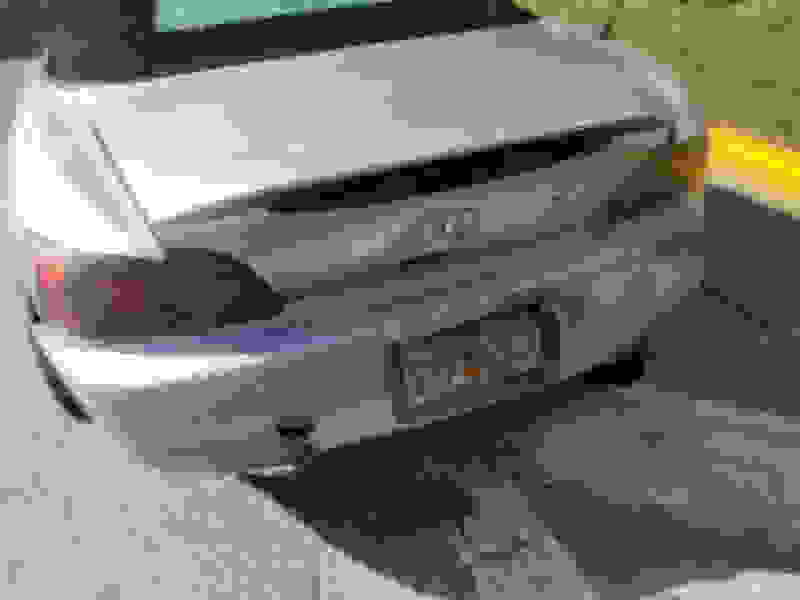 For clarity the driver side had a tiny amount of rear quarter panel damage from the accident, the trunk and rear bumper took the brunt of the damage. Alignment is still ok, diff mounts and everything mechanical seems to be working. I have found its gotten harder to shift, and there is a vibration at 1600-2100 rpm that wasn't there before. I hope this isn't pilot bearing related, mounts seem ok, although I haven't checked the trans mounts. Was it in gear when hit, with clutch engaged (pedal up)? I'm thinking the impact could have put stress right up through the drivetrain. Like doing an instantaneous clutch dump with massive torque, but in reverse. That could have damaged anything between wheels and motor. Hubs, wheel bearings, axles, diff, prop shaft, trans, etc. 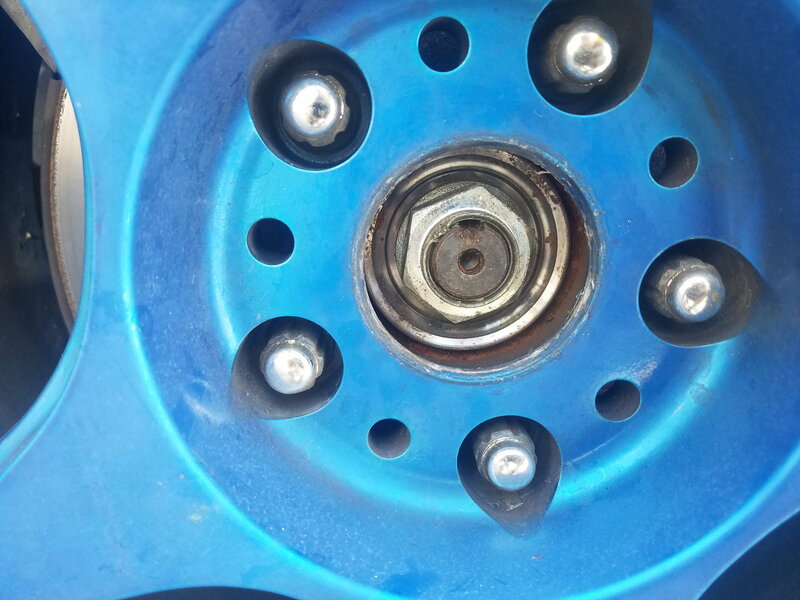 As for the axle nut, interestingly, the direction to loosen the driver side nut would be the direction the impact forced the rear wheel on that side to jerk forward. So if somehow the force transferred from wheel to hub and to nut, it would loosen it. This is not inconceivable. If an earthquake can liquefy solid ground, a sharp, strong solid impact could probably make a bearing temporarily act solid, and transfer the force all the way to the axle nut face. Isn't the axle nut staked or cotter pinned? 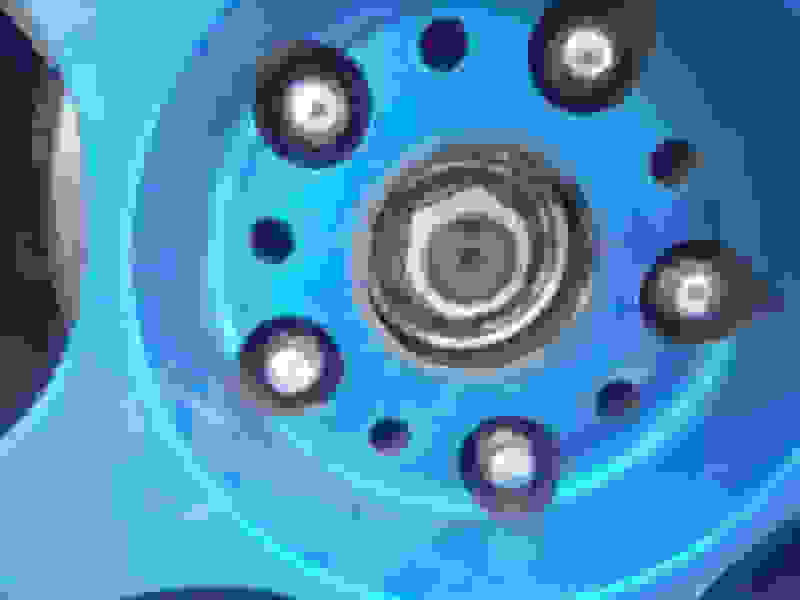 The axle is splined to the hub. So...the axle cannot rotate and loosen the nut. Maybe the shop loosened it because they thought they needed to remove it. That's the easiest explanation. I was stopped at a red light, only car at the intersection and still got hit, I had my foot on the brake, the hit sent me forward about 10 feet. In my opinion, no way a staked nut with +200 Ft-lb on it, is going to loosen, on its own. 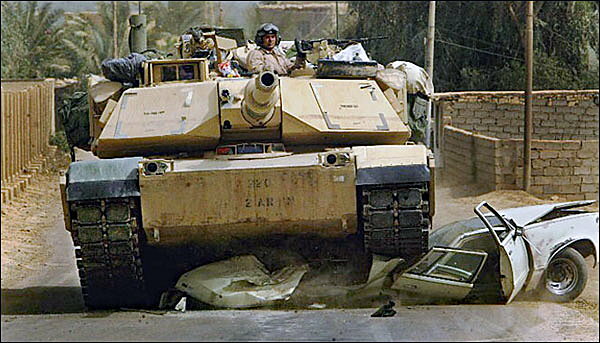 Even if a Abrams tank rear ends it, at 60MPH. Okay, maybe exaggerating, a little. Last edited by windhund116; 03-04-2019 at 02:42 PM. this is what my driver side axle nut looked like. Axle nut issue is not from the accident. Quick Reply: Can an impact from a collision loosen an axle nut?